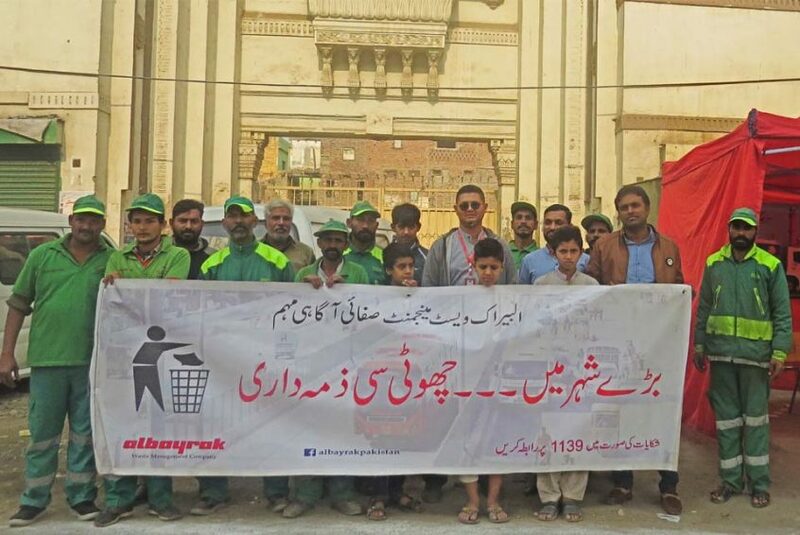 Lahore: Under the campaign “Choti si Zimmadari”, the weekly awareness drive of Albayrak Waste Management is successfully being carried out in the city. A camp awareness activity was arranged at Lakshmi Chowk, UC-171 on Friday to sensitize the citizens about their civic responsibilities of keeping their surroundings clean. Albayrak team along with sanitary workers distributed awareness pamphlets among the children, rickshaw drivers, motorbike riders and pedestrians, requesting them to avoid littering on the roads and to ensure the use of waste bins for disposing of garbage. An awareness walk was also arranged in which the children participated and pledged to maintain cleanliness.